Everything from pre-history to modern day, discover treasures around every corner. Featuring Ivan the T.rex, two real Egyptian mummies, military history, and more! Pinot's Palette is the upscale "Paint. Drink. Have Fun." 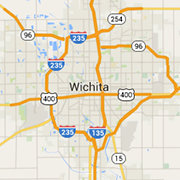 destination in Wichita where anyone can be an artist and no art experience is required! Play over 70 retro classic arcade games from the 80s and 90s all for just $10 for all day, $8 for kids 10 and under! Pinball .50 per game.